This one is sure to be a crowd pleaser! 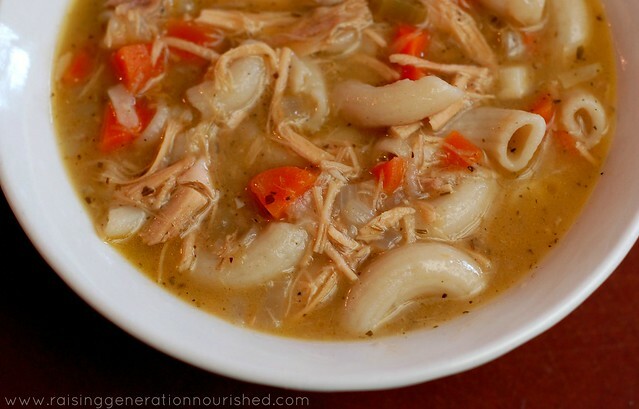 There is nothing more comforting than a bowl of chicken noodle soup. If you grew up like I did with the little red can of chicken noodle soup – boy are you in for a treat. 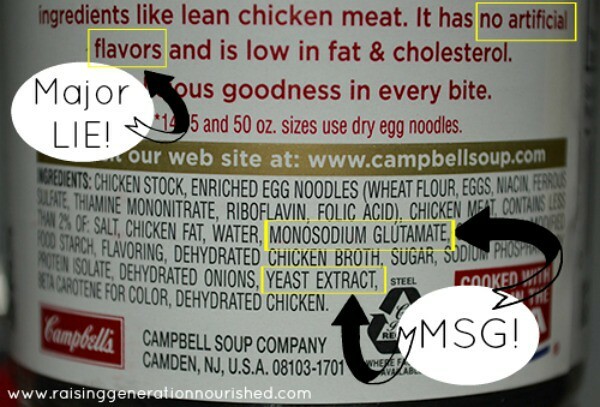 Not only will you be able to skip out on the junk MSG additives and zero nutrient value, but oh! Homemade chicken noodle soup tastes SO good! And making it with simple slow cooker bone broth will bump up the nutrient value along with packing a punch of immune system boosting! I really feel like I have perfected the flavor, texture, and experience of eating a bowl of chicken noodle soup. The ingredients are so simple, but they come together and make one of our family’s favorites. 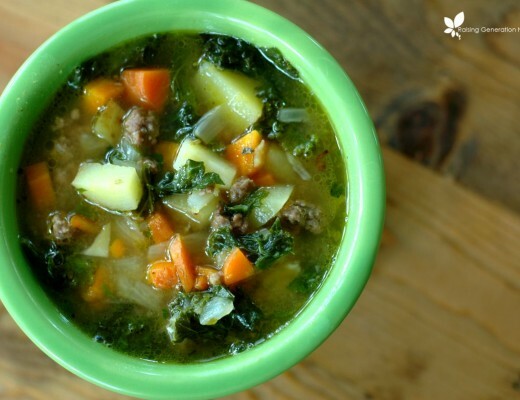 This soup holds up in the freezer just fine. The re-heated soup over the stovetop tastes just as good if not better than when you made it fresh. I keep jars of chicken noodle soup in the freezer to pull out quick to pack in my husband’s travel CrockPot for work lunch, to have for lunch at home, and this fall to pack in my daughter’s school thermos for kindergarten! 1-16 oz bag gluten free noodles Watch the ingredients though! If you are grain free, you can use potatoes. If you can’t do potatoes you could just go without and bump up the veggie or chicken amounts. 3 TB tapioca flour shaken up in some water This is optional but thickens the soup nicely to more of a saucy or “stew” consistency! Tapioca flour is grain free so grain free friends can still use this! 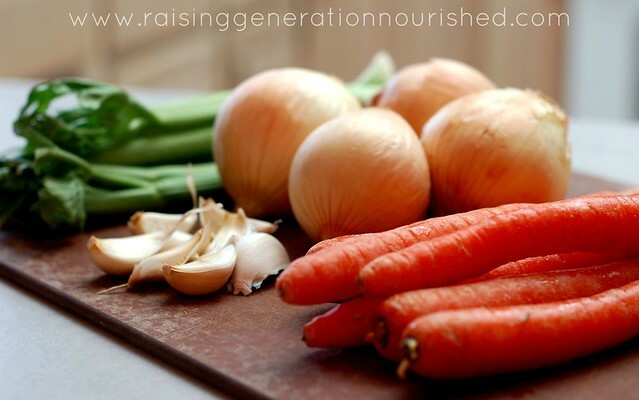 In a large stock pot, sauté the onions, carrots, and celery in the friendly fat with a few big pinches of salt for about 10 minutes to bring out their juices and sweeten. Add the stock, chicken, and seasoning and bring to a boil. Add the noodles and cook until the noodles are done. Add the tapioca flour/water mixture and simmer to thicken. Season sea salt/pepper to taste. This one is always a kid favorite – make enough to store away in the freezer or can so you can pack it in lunch thermos weekly. This batch makes enough for my whole family to have lunch and then 4 quarts left to freeze. 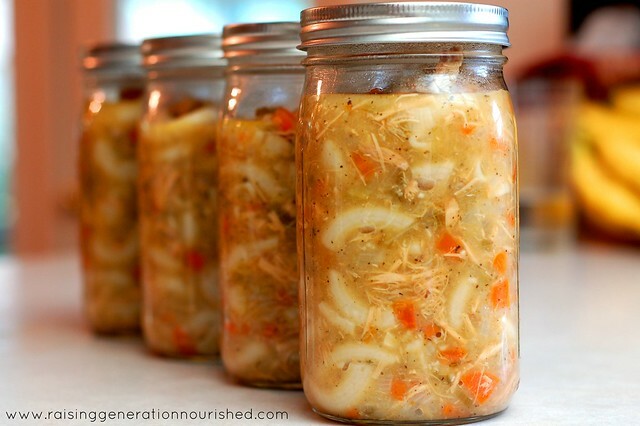 Just be sure to freeze the soup for 24 hours WITHOUT the lids on so your jars don’t crack! It is so worth making your own bone broth when soup making! 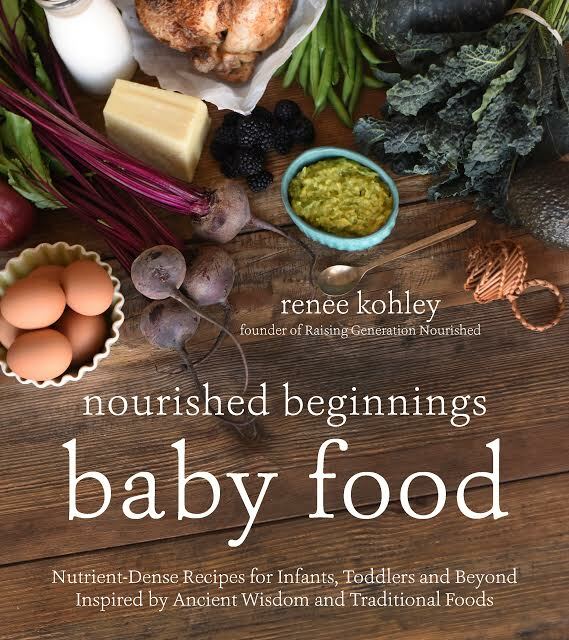 The gelatinous protein and mineral rich nutrients will boost your little one’s immune system and fill them right up! Use long grain white rice instead of the gluten free noodles to change it up! If you happen to be grain free you could use potatoes. The tapioca flour to thicken is grain free too! Chop everything the night before or somehow ahead of time to save time. It’s the most time consuming part of the soup and you can just store it away in the fridge until you are ready to make the soup – it comes together super fast once everything is chopped. Here is the tapioca flour I like to use. Where I live this is the most cost effective place to purchase it. It is grain free and makes for great soup thickening! Here are the gluten free noodles I typically use. Our local grocer carries them at a good price so I purchase them there. Haha! Thank you! I know it – too pretty not to photograph! 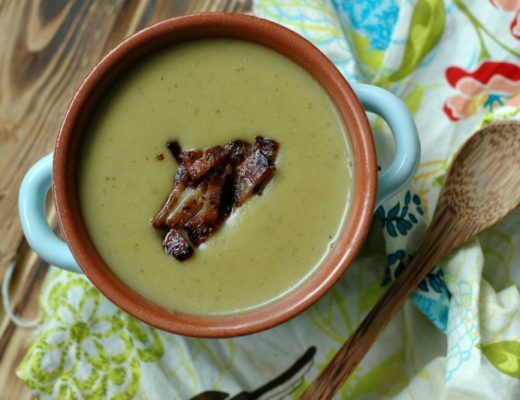 It’s a rainy day here so this recipe couldn’t have come at a better time. It’s perfect for soothing and warming the soul. Delicious! Who doesn’t love Chicken Noodle Soup? This really looks great. I never thought of using cayenne pepper but I bet it adds a lot of flavor. I am going to have to get one of those travel crockpots. 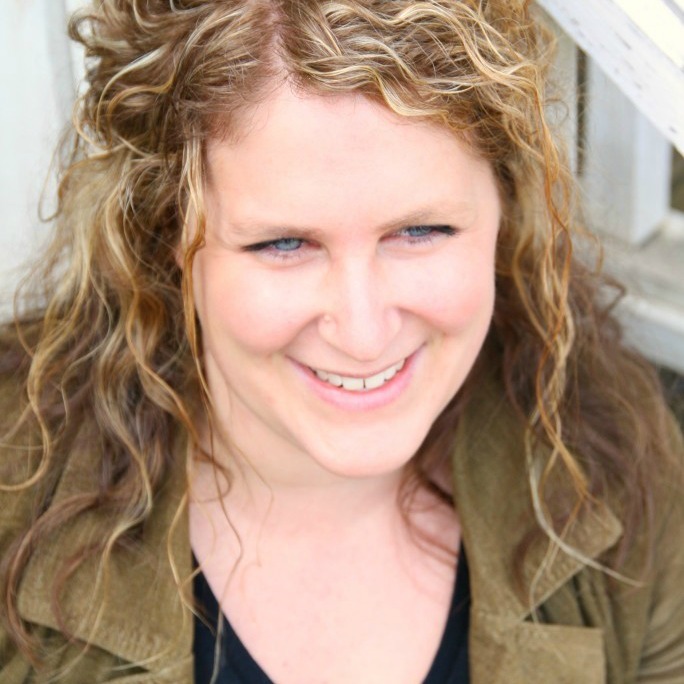 Silly question, maybe, but… what is organic all purpose season? (Presumably “seasoning”?) What seasoning is that? Hi Anni! Most seasoning brands have an all purpose season (something herbal without salt) – I use the Simply Organic brand and it is the best blend I have ever had! I know it’s an old post, but I made this for dinner tonight with things I had on hand (fennel, carrots and parsnips for the veg) and it’s a huge hit! Going into my rotation for using bone broth and leftover chicken. Awesome Lauren! That makes my day! It is one of our favs too! Hi Swarna! They cook right up in the broth with the veggies! Hello, I’m new to IP and I made your whole chicken recipe today. Thank you for sharing the step by step recipes! I just made the one broth as well! Very exciting. I have the chicken stock and the broth from today’s chicken thanks to your recipes. If I want to make chicken noodle soup this week, should I use both the stock and broth? Also, what should I freeze, the stock or broth? I new to all of this! Thanks in advance. Hi Leigh! That’s great! You can use either the stock or the broth or both for any soups! And they both freeze up really great! I hope that helps! Thank you for your quick reply! 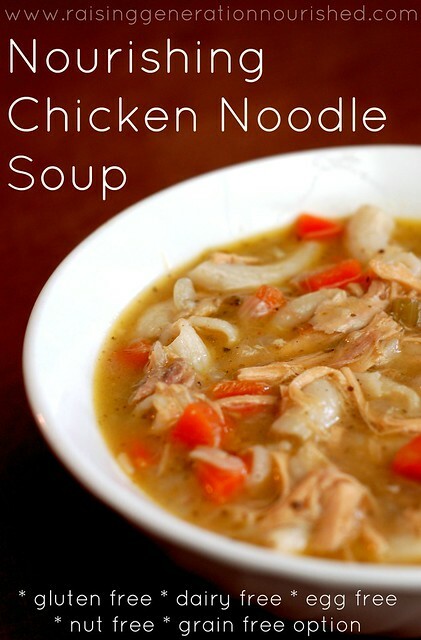 Do you have a good recipe for chicken noodle soup in the IP you can share?